Well you have an Android 3.2 on your phone or Tablet, but still it will look a bit older after two or three months as Google is all set to launch Android 4.0. Last Friday, Eric Schmidt chairman of Google just mentioned about it. While speaking to Salesforce.com CEO Mark Benioff at the Dreamforce conference, Schmidt said that they have a new operating system code named as Ice Cream Sandwich, which will be released by October or November this year. Until now Google hasn’t officially declared any release date for the Ice Cream Sandwich, but they might be planning to launch the Droid Prime, the third Google Nexus Smartphone with Android 4.0 this October. If so, then it will be the first Smartphone with Android4.0 operating system. A recent official statistics from last week shows that, Android fragmentation- the phenomenon where different Android Smartphones are running different Android versions are still alive and hitting the streets. According to it more than a half of the Android users are still using the 2010s Android2.2 version, also known as Froyo. So no need to get depressed if you have a 3.2 version on the latest tab you bought. 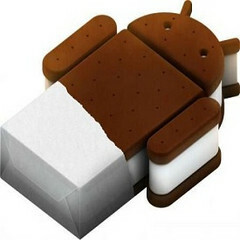 Well, earlier this May Ice Cream Sandwich was first demonstrated at Google I/O. This model is supposed to be powering Smartphones and Tablets alike and aims to eliminate the need of different versions of Android for different form-factors.